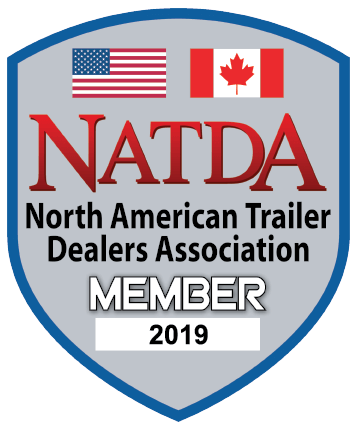 Weigh Safe is proud to announce that we will be attending The North American Trailer Dealers Association (NATDA) which is the largest gathering of trailer dealers in North America. For the past 11 years, this show has taken place showcasing the latest in trailers, parts and accessories. Exclusively for dealers in the industry, attendees are given the opportunity to buy, sell, learn and network with one another at this three day event. This year, the NATDA Trade Show and Convention will be held in Indianapolis, Indiana on September 6-8, 2018. Weigh Safe is planning to release one of our newest products which will be coming to market: the Weigh Safe Fixed Height Ball Mount. This aluminum fixed height ball mount will be able to measure vehicular tongue weight, similar to the Weigh Safe Adjustable Ball Mount. The Weigh Safe Fixed Height Ball Mount will be designed to function with any 2” receiver (as well as the 2.5” and 3” with sleeve inserts/receiver reducers). 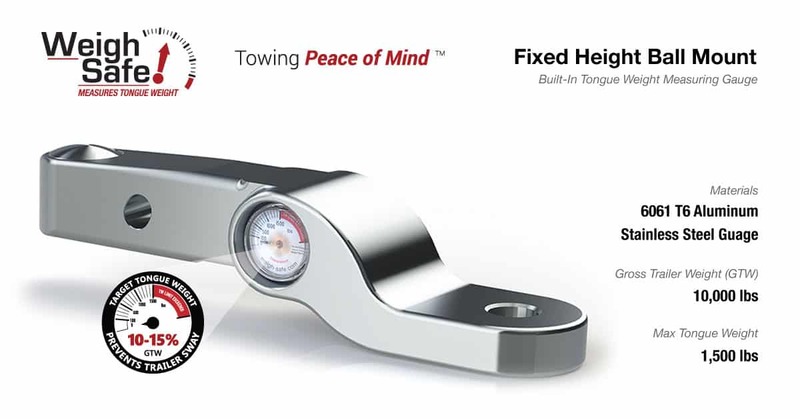 These Fixed height mounts boast an industry leading maximum gross trailer weight (GTW) of 10,000 pounds along with a maximum tongue weight of 1,500 pounds. This incredible strength is due to the premium stainless steel tow ball and high quality aircraft grade aluminum. This Weigh Safe Fixed Height Ball Mount will soon stand alongside the rest of our award winning line of ball mounts which include: the Weigh Safe Adjustable Ball Mount and the 180 Hitch Turnover Ball. This new fixed height ball mount has many of the same towing advantages as the Weigh Safe adjustable drop hitch. The accurate and durable tongue weight gauge enables towers to know their tongue weight, allowing them to better manage/adjust their load. From pulling trailers, toy haulers, boats, and even triple towing, the Weigh Safe brand is dedicated to ensure a Towing Peace-of-Mind. We are excited to attend this year’s NATDA Trade Show and Convention and absolutely thrilled to release our Weigh Safe Fixed Height Ball Mount.